We are now the Glade Park Rangers 4H club. We meet at the Glade Park community building on the 2nd Monday of each month, at 6:30pm. Please come to a meeting if you are thinking of joining, or use the contact form below. 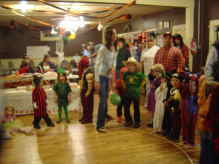 Piñon Mesa 4-H Club 2007 Halloween Party and Dance. Picture is link to more pictures. Contact us! Let us know you are interested right now! 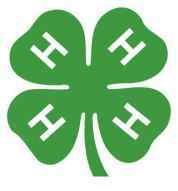 Tell your 4-H story. Send a picture. What do you enjoy about 4-H? What is your favorite project? How did you do at the fair? This is me and one of my steers at the Mesa County Fair. This is just after my first market class and he took first place.